Immaculate, spacious two-bedroom, two-bath, second floor condo is available immediately. New carpet and paint throughout. Amenities include a gas fireplace, two balconies, slab granite countertops, pantry, upgraded stainless steel appliances, natural maple cabinets, huge master bath and unbelievable walk-in closet. HOA fees include, water, sewer, trash removal and use of the resort-style clubhouse, pool/spa, gym, volleyball court, walking trails, and more. There is plenty of surface parking right outside your door. 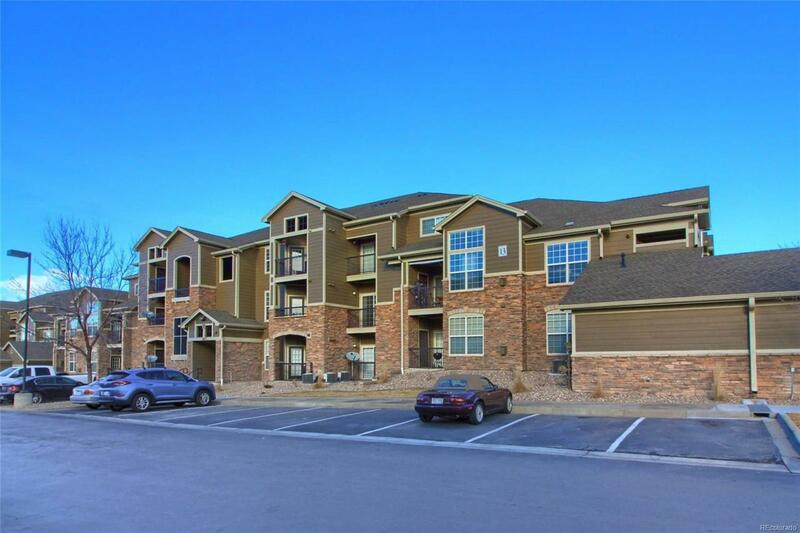 The condo is located in a quiet, golf course community with lots of open space and beautiful mountain views. There are several restaurants, including a golf course restaurant, and a coffee shop within easy walking distance. A large King Soopers is just minutes away. Commutes to Boulder, Denver, DIA, Lafayette, Louisville and Loveland are very convenient with quick access to Highway 7 (Baseline Road), I-25 and E470.